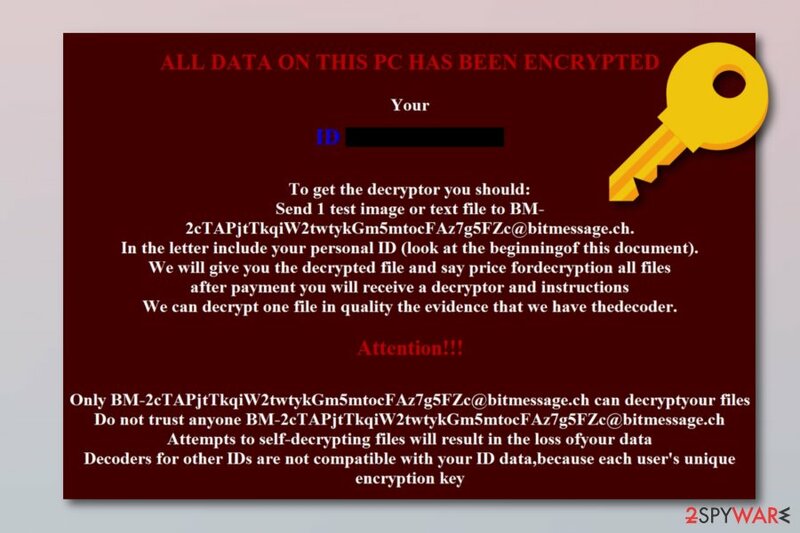 BadNews ransomware uses sophisticated techniques to infiltrate computers and hide from its victims. Use Reimage to determine whether your system is infected and prevent the loss of your files. BadNews ransomware - a virus which enters the system through spam messages. 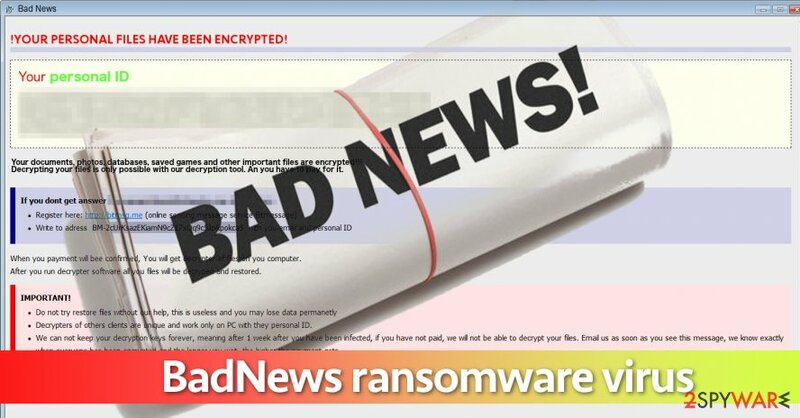 BadNews virus is a ransomware-type virus which is meant to encrypt all victim’s files and demand a ransom in exchange for a decryption key. To put it simply, the program uses a public key for data encryption and then creates a decryption key (private key), which it stores on its server and hides it securely. When Bad News ransomware steps into the system, it encrypts files and adds the ID [victim's_ID].BadNews file extension to them. Finally, the virus launches a window and displays an HTML message named How To Decode Files.hta. Crooks announce about the encryption and demand a particular ransom for file decryption. Send 1 test image or text file to BM-2cTAPjtTkqiW2twtykGm5mtocFAz7g5FZc@bitmessage.ch. In the letter include your personal ID (look at the beginningof this document). We can decrypt one file in quality the evidence that we have thedecoder. The ransom price is currently unknown in this situation as there are no certain details provided. However, cybercrooks who spread ransomware such as BadNews ransomware usually urge for a type o cryptocurrency, e.g., Bitcoin or Monero. Moreover, the price often varies between $500 and $1500. Nobody wants to lose all files in a second; however, that doesn’t mean that you should go and pay the ransom that cybercriminals hiding behind BadNews demand paying. You risk being left out without access to your files and also without a considerable amount of money in case cyber criminals decide not to provide you with the decryption key. Therefore, our team suggests removing the virus instead and taking all possible actions to recover files for free. If you do not have an antivirus program, you should install anti-malware software (because it is capable of detecting a wider range of computer infections than just viruses). Our team says that Reimage software is the one users should rely on. 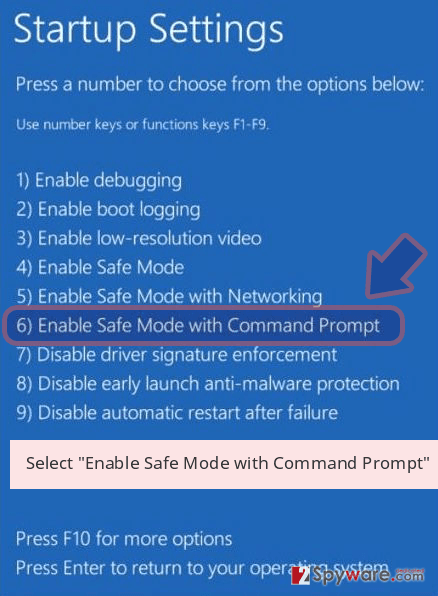 To remove BadNews ransomware, firstly restart the computer using instructions presented in the elimination guide. Moreover, performing the BadNews ransomware removal is strongly recommendable as some ransomware-type viruses can “clean the way” for other malware forms. When your computer security level decreases, you might catch a serious infection and suffer even worse consequences. Be aware of such activity, eliminate the cyber threat ASAP. 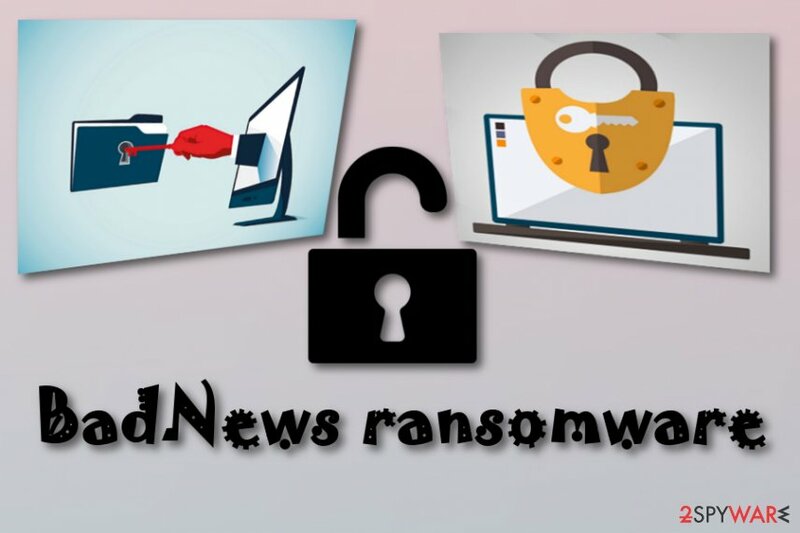 BadNews virus - ransomware which encrypts various data that is located on the victim's computer. 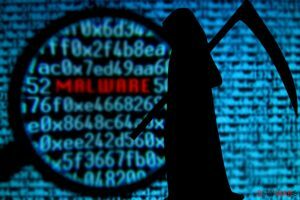 According to LosVirus.es malware experts, ransomware attacks should be avoided because, in the majority of cases, viruses manage to distort the victim’s files in a way that they become unrecoverable. To avoid the risk of losing files for good, you should do everything to avoid ransomware attacks. That is rather an easy task to do. First of all, you should install anti-malware software to recognize malicious attempts to encrypt your files; secondly, you should create a backup of the most important data. To create a backup, take an external disk, plug it into your computer and transfer the most important files to the external device. Always keep such data storage devices unplugged from your PC – this way, the virus won’t be able to reach and infect them. Backups can be used anytime when you need them. Moreover, avoid opening attachments that are clipped to phishing messages. Spam emails often carry hazardous content with them which comes in the form of a clipped attachment or a link. Additionally, install strong antivirus protection to prevent various infections. If you do so, you have a bigger chance of avoiding ransomware attacks as well. BadNews ransomware - a file-encrypting virus which uses unique encryption algorithms to block important documents. When strong ransomware virus strikes, the situation becomes unenviable as the most important data becomes unavailable for the use. However, one should not give up and take actions to remove BadNews virus from the system. That is rather a simple thing to do, but only if you have the anti-spyware software. We suggest installing Reimage, Malwarebytes MalwarebytesCombo Cleaner, or Plumbytes Anti-MalwareMalwarebytes Malwarebytes. Speaking about ransomware viruses, manual removal method is not a recommended one. Therefore, we suggest users using tools that we recommend for BadNews removal. Be cautious while performing every step. 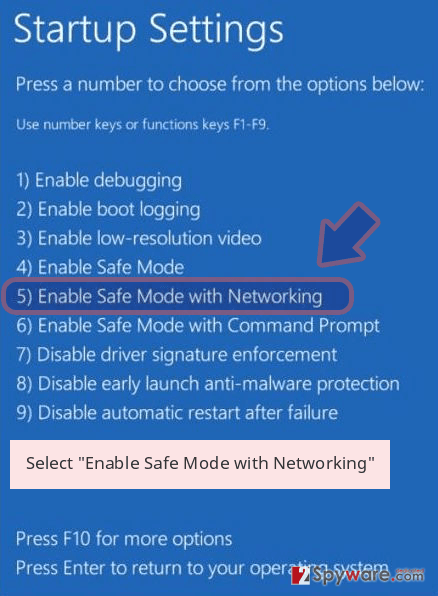 After you proceed with the elimination, there is one more goal you need to accomplish to secure your computer system fully. 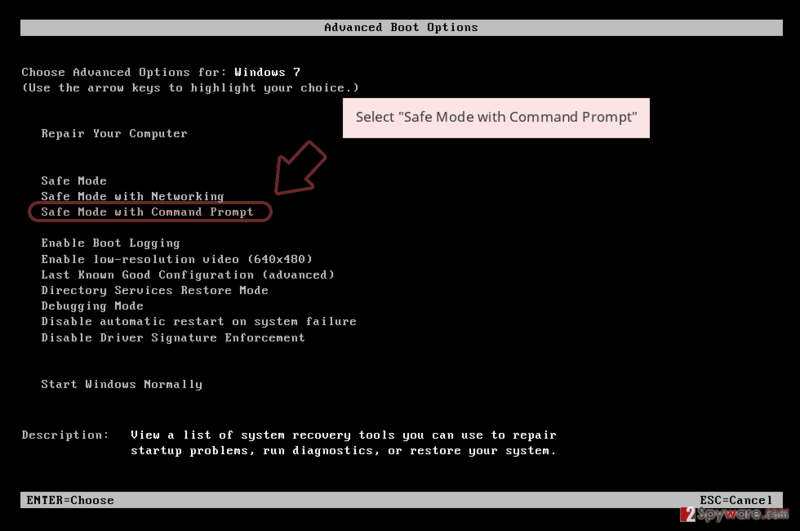 Performing system backups is a necessary action – you need to make sure that all virus-related content was removed from your computer successfully. Taking about data recovery, you can try some third-party software that we have provided below this article. If you perform each step as shown in the instructions, these methods might help you to get your corrupted files back to their starter positions. Log in to your infected account and start the browser. Download Reimage or other legitimate anti-spyware program. Update it before a full system scan and remove malicious files that belong to your ransomware and complete BadNews removal. When a new window shows up, click Next and select your restore point that is prior the infiltration of BadNews. After doing that, click Next. Once you restore your system to a previous date, download and scan your computer with Reimage and make sure that BadNews removal is performed successfully. Guide which is presented above is supposed to help you remove BadNews from your computer. To recover your encrypted files, we recommend using a detailed guide prepared by 2-spyware.com security experts. If you want to get important files back to as they were before the ransomware-type virus managed to encrypt them, you can try some of these methods. 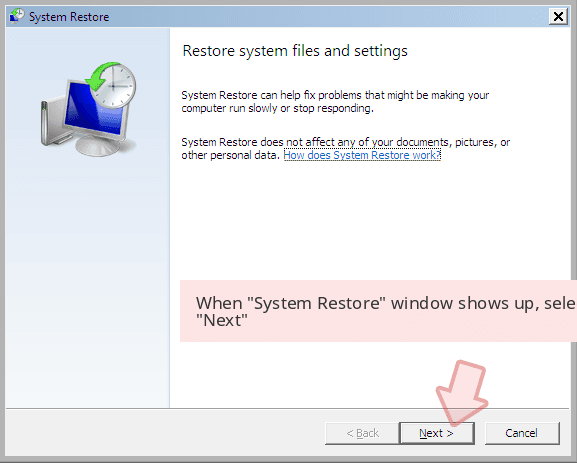 Windows Previous Versions can help you to recover lost data. 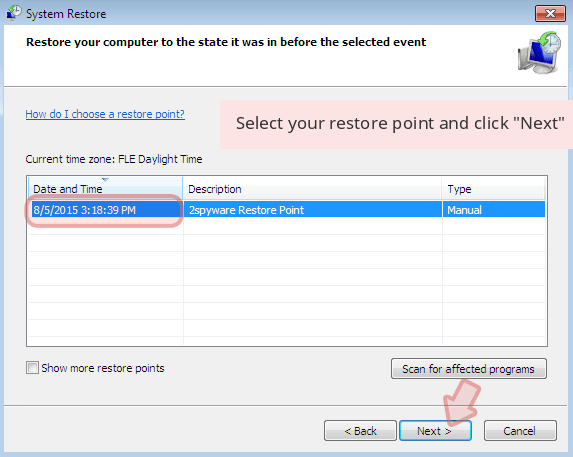 This technique works only if you enabled the System Restore function a while ago. 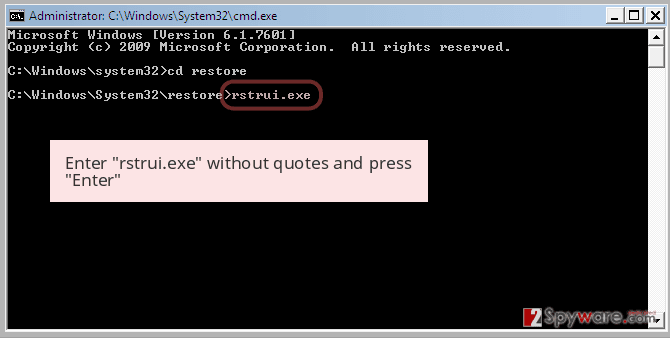 You can use this method to restore corrupted data. However, it will not work if the virus did not damage Shadow Volume Copies of locked files. There is no original BadNews decryptor discovered yet. ^ Jeff Tyson. How Encryption Works. HowStuffWorks. Learn How Everything Works!. ^ Master decryption key released for Teslacrypt ransomware. Threatpost. The first stop for security news. ^ Andra Zaharia. 10 Warning Signs that Your Computer is Malware-Infected. Heimdall Security. Builds industry-leading patch management, financial security and data protection software. ^ LosVirus.es. LosVirus. Cybersecurity news site. ^ Dan Raywood. How to avoid being caught out by ransomware. ComputerWeekly. Information technology (IT) news and IT jobs. 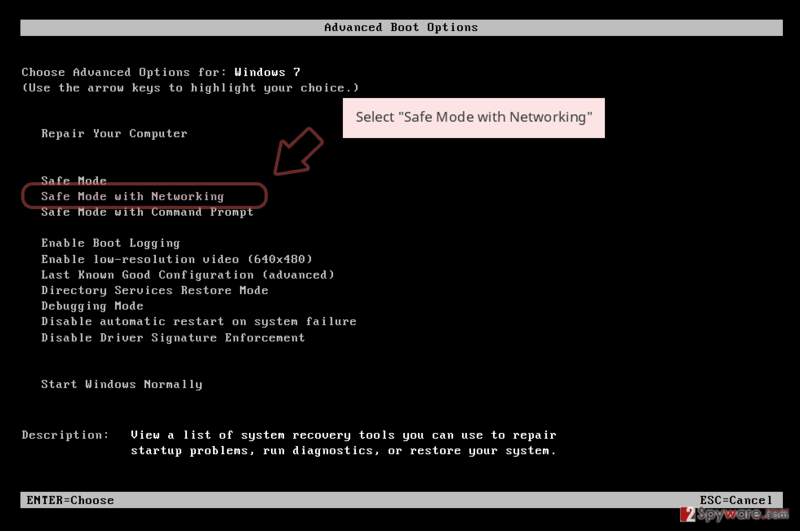 ^ Why do I need backup and what options do I have for that?. 2-Spyware. Fighting against spyware. This entry was posted on 2018-08-30 at 08:11 and is filed under Ransomware, Viruses. You can quickly scan the QR code with your mobile device and have BadNews ransomware virus manual removal instructions right in your pocket. How did you remove BadNews virus?